Andrew Tang won the Toyota Racing Series in 2014. © Toyota Racing Series / Bruce Jenkins. 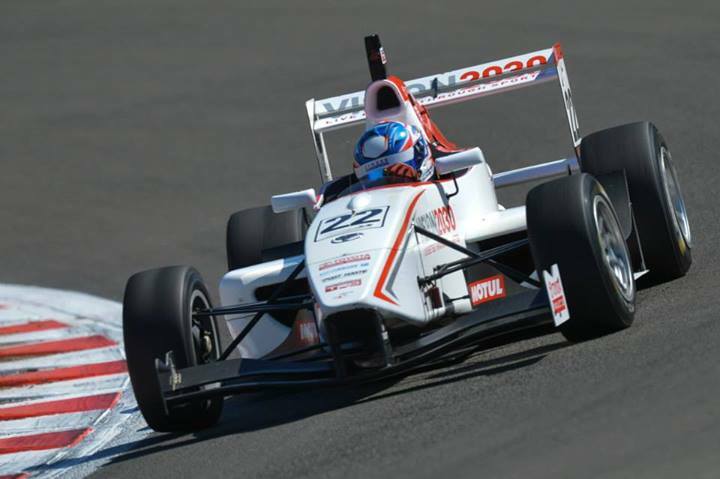 The Toyota Racing Series revealed its calendar for the 2015 season this week. Maintaining a schedule of five rounds, the series will enjoy three events on the northern island and two in the south, with the series once again concluding with the New Zealand Grand Prix at Manfeild Autocourse. Aside from Manfeild, the TRS is staying with Hampton Downs and Teretonga Park, although the latter – the relatively traditional opener for the series – will now line-up as the second round in late-January. Designed for young and / or inexperienced drivers unused to aero-reliant competition, the series has proved increasingly popular in recent years. Thomlinson added: “Team managers and talent-spotters around the world are watching closely as we finalise details for this year’s championship.” Many of the drivers racing in the series have used the TRS as preparation before moving onto the likes of Formula 3 or Formula Renault 2.0 categories. Opening the series will be events at Mike Pero Motorsport Park at Ruapuna (Jan 17-18) near Christchurch. It will be the first time since the 2008-09 season that the TRS will have raced at the 2.0-mile circuit. Thomlinson believes the drivers are in for a treat. “Ruapuna is a firm favourite with drivers and teams, so we’re rapt to be able to race there again.” The Series is also set to move back to the fast and sweeping Taupo Park, after the northern island circuit was omitted from this year’s calendar. Boosted by a strong international contingent, the series last year ran twenty-two full-season efforts; however it will be key to see if the introduction of a new car and the burgeoning Florida Winter Series and FIA F3 Winter Series cut into these efforts. One hopes not. The Toyota Racing Series team have done a stellar job in recent years building the category.